As moms, we excel at multi-tasking and making the most of our time and money. Our family expenses are endless from daycare fees, extracurricular costs (like new hockey equipment, ballet lessons) to the ongoing need of new clothes and shoes for our growing kids. We constantly look for ways to save on household items and maximize our mommy money. 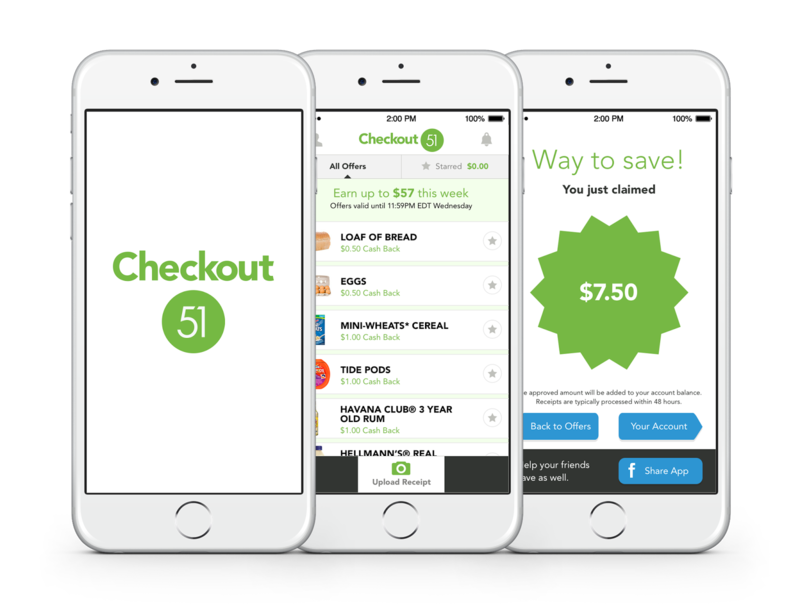 Welcome Checkout 51, a revolutionary coupon app! With over 4 million members in Canada and the U.S., the app is now available for Quebec. That means we save on everyday essentials like milk, eggs, shampoo and even diapers...so we may spend our dollars on fun things like family vacation. Thank you Checkout 51, you just brought us one step closer to Disneyworld! Here's how it works: Each Thursday, Checkout 51 gives a new list of offers on everyday products like milk, eggs, diapers and even alcohol. Members of the free app purchase products from the list at any store and use the app to take a photo of the receipt. Checkout 51 then confirms the purchase and credits the member’s Checkout 51 account. When a member’s account reaches $20, Checkout 51 sends them a cheque. The Checkout 51 app is available for free in the Apple App Store, Google Play, and at www.checkout51.com. Saving money is ALWAYS a good thing! I love that you can do that via phone apps now! What a cool app. I'll have to try it out!